You find the Vertex Tools in the Avastar Tools Panel in the Tool shelf. The Doubles Operator selects all vertices which are recognized as duplicates. 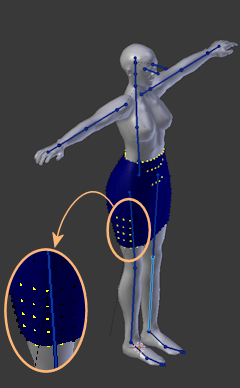 The Unweighted Operator selects all vertices which are not assigned to any Weight Group. 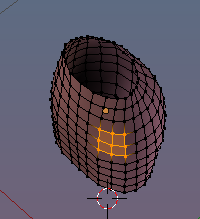 Note: When you have selected multiple Objects you will find a report in the Blender Console with one line per object indicating the number of unweighted vertices. The Zero weighted Operator selects all vertices for which the sum of all assigned weights is 0.0 (zero). The >4 Operator selects all vertices for which the number of assigned weights is > 4. Note: this operator does not preserve the original vertex selection. So after the operator is called, only the vertices with more than 4 weights are selected or no vertex is selected when the mesh is clean (all vertices have less than 5 weights assigned)Note: When you have selected multiple Objects you will find a report in the Blender Console with one line per object indicating the number of vertices with too many weights.